The Highway 61 Film Festival is proud to be listed as a featured festival of the International Film Festival Summit! This great event will be held from Dec. 8-10 in beautiful Austin, Texas. Producers, directors and filmmakers of all stripes will join with film festival organizers to meet and discuss how better to further their projects. Especially noteworthy participants at the festival are famed indie producer John Sloss (Waking Life, I’m Not There, Before Midnight) and John Sayles, the renowned writer/director of Matewan, Eight Men Out, Sunshine State and many more. There will be a discussion on programming from organizers of the Toronto International Film Festival, and more conversations about crowdsourcing, sponsorships, and other details of festival operations. Visit filmfestivalsummit.com to find out more. The Highway 61 Film Festival and “Photos on Buildings” were two great arts events that entered their third year on Oct. 4-6, 2013. 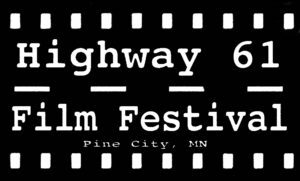 The Highway 61 Film Festival Committee would like to thank the many contributors who made it possible, especially Pine Center for the Arts, Dan Carlson and all staff at Danny C’s BeachRocks, Pine Technical College and PTC staff, and all the great folks at the Pine City Pioneer: Kathy Ericson, Donna Heath, Sharon Fore, Annette Krist and Wade Weber. Thank you to Donna Sandberg, who went above and beyond in delivering programs and posters. Thank you to our judges, C.J. Gustafson and Pamela Jambeck, for their thoughtful and discerning work choosing the best from among the contenders. Also, a big thanks to C.J. for turning her home into a B&B for our itinerant filmmaker friend! Thanks to Becky Schueller for her key support and Loreal Lindstrom for making the late night films possible. Thank you to Supervolunteer PJay Siltanen and Red Carpet photographer Noah Sikkink, to East Central Minnesota PFLAG members Paul Oium, Paul Wilkens, Don Quaintance, Phil Schroeder and Barb Schroeder. Also, thanks to the Pine City Public Works crew for babysitting our banner – for the second year in a row! – through the windstorms of October, and to Lee’s Pro Shop for getting the battered banner repairs done so quickly. Thank you to Eric Carlisle and the Paradise Theatre for including us in their first annual “Magic of Movies” Film Festival this past April. Thanks to all the “Photos on Buildings” photographers: Judy Scholin, Cliff Odendahl, Terri Huro, Kelli Maag, C.J. Gustafson, Gene Webster and Stan Grubbs. Thank you to the owners and occupants of Pine Plaza (Journey North Church, Jim and Kandis Koppen, and John and Mary Jo Lahr) for offering a viewing location, although rainy and windy weather conditions forced “Photos” showings to the PTC indoor location. Thank you, Robert Musgrove and PTC, for being an accommodating rain site. Our gratitude to Kirk Eckstine and Nate Johnson, Kevin Horn, Ryan Becken, Zach Hammill, Elliot Diviney, Mike Gainor, Jerome Erickson and the DAAM Crew for providing films not for competition. Thank you to the following Film Fest program advertisers for their financial and other support: Coldwell Banker Results, Mary Kay Brautigan, Campbell Auto & Tire, Images of America: Pine City and (new book) Legendary Locals of Pine City, by Nathan Johnson, Stogies, A&W, Shear Obsession, Old Oak Inn, Cabin Coffee’s, Roubinek Motors, JoLyn’s Sewing Service, The Pine City Scrapbooking Co., Sauser’s Hardware, Rick’s Auto Sales, North West Company Fur Post, Lee’s Pro Shop, Chris’ Food Center, Deutschlander Fencing, Pizza Pub, Signatures Closing & Title, Inc., The Wizard of Oz, Peaceful Pines Farm, The Flower Box, D.Q. of Pine City, Pine Insurance Agency, Voyageur Bottle Shop, East Central Men’s Circle, Chubby’s, Jan Carl, RedRock on Air and FirstLight Health System. A special thanks to the inspirational Al Milgrom for returning to Pine City to share two amazing international film selections along with the amazing insights he shared with our audience. Thank you to the tri-county coalition of Carlton, Pine and Chisago for choosing us to help launch their “Discover the FUN on Old Hwy. 61” promotional effort, and thank you for collaborating with us to bring the charming, gracious, and talented journalist/filmmaker Cathy Wurzer to Pine City on Oct. 4. Thank you, Cathy, for your support and enthusiasm and for so generously sharing your time and “Tales of the Road: Hwy. 61” – part one – with us. We wish you well on your sequel journey and eagerly anticipate the finished film in 2014! Big thanks to ALL the filmmakers who came to the event and shared their creativity and time, and to all those who came to enjoy the films. To anyone we’ve forgotten, please forgive us. Thank you all and see you next year! Get ready for Hairdo or Die: The Next Cut! Everyone’s favorite Rush City filmmakers return on Oct. 26 with their next installment int the comedy-horror series. Be sure to check it out – and help raise money for the Rush City Food Shelf in the process! The judges had a challenging time winnowing through the great films submitted to the 2013 Highway 61 Film Festival. After tallying their results, these are the winners. Cash prizes ($50 short/$100 feature) will be awarded to all first-place winners. Prizes were awarded for all categories in which films were submitted. Congratulations to all the winners! Coming up to Pine City for the festival? Here’s a map showing festival site locations. Day and evening showings will be presented at the Pine Technical College Auditorium (900 4th Street SE, Pine City 55063), while the free late-night shows will be held at Danny C’s BeachRocks (10762 Lakeview Shore Drive). Photos on Buildings will be held on the back of Pine Plaza as shown on the map. However, in case of rain, the photos will be shown indoors at Pine Technical College. Just north of Pine Technical College is another unique Pine City arts project. The idea behind Photos on Buildings was simple: local photographers would project their photos onto the walls of Pine City shops and offices, transforming the buildings into a canvas for their work. The project had a successful first year in 2011, with many local residents stopping by to view the images and talk with the artists. Through a generous grant from Forecast Public Art, internationally famed photographer Wing Young Huie came to Pine City in 2012, and the resulting photos first became a gallery show at Pine Center for the Arts and then part of the 2012 Photos on Buildings display. The show continues to evolve in 2013. Focusing on the theme of “Community,” area photographers were invited to share their photos highlighting what they love and celebrate about the area, as well as areas where the community can improve. Head up 4th Street SE to the corner of 8th Ave. SW before the late night show to catch a glimpse of the wide variety of area photographers projecting their photos at the 2013 Photos on Buildings. Note: In case of rain, an alternate indoor location will be chosen for Photos on Buildings. Welcome to the Highway 61 Film Festival! Making a film takes some heavy lifting. It’s one thing to think of a great idea for a movie. It’s another to form that idea into a story, then to gather the people and equipment to film it, then to edit it together, then to add just the right music and sound … and then finally, finally, to put it in front of an audience and hope they love it. It takes passion, it takes care and craft – and it takes the raw determination to overcome every obstacle and get it done. It’s because of the passion and determination of all the filmmakers in the festival that we get to be here. Filmmakers, thank you. One of those filmmakers is kicking off the festival with a movie that echoes our shared love for Highway 61. Cathy Wurzer is an Emmy award-winning journalist from radio and television, and we’re excited that she’s bringing her documentary “Tales of the Road: Highway 61” to Pine City on Friday night. 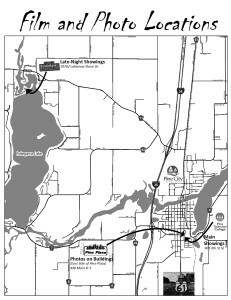 Speaking of Highway 61, it’s great to see the counties of Carlton, Pine and Chisago coming together to promote this historic route through Minnesota as a tourist destination – and we’re delighted to help to kick off their “Discover the FUN on Old Highway 61” initiative on Friday. It is a great honor and privilege to have Al Milgrom supporting the Highway 61 Film Festival once again in 2013. A Pine City native and founding member of the Minneapolis/St. Paul International Film Festival, Al has played a huge role in making the Twin Cities a cultural center in the Midwest. He’s a remarkable man, and one of the inspirations for this film festival. Al presented an evening of films last year, and has generously donated his time again this year to offer a special selection of films for our audience. A highlight of the year for us came this past spring when Mora’s non-profit Paradise Theatre invited us to take part in their very first film festival. The Paradise is a great theater, a tremendous community asset, and we’re looking forward to many more collaborations to come. To all our guests: thanks for coming! Have fun, and feel free to come and go throughout the festival – but do keep coming back. There’s sure to be something special happening when the next show starts. And don’t forget to stroll down the block north after the movies are done at Pine Technical College and before the late night shows begin out at Danny C’s BeachRocks. The artists involved in “Photos on Buildings” will be making murals of light along the back of Pine Plaza. It’s an extraordinary project in its own right – another part of the art tradition that makes Pine City such a remarkable place. Speaking of that art tradition, a big thank you goes out to the Pine Center for the Arts. It’s because of this amazing organization in Pine City that this festival exists at all. Along with the Pine City Arts Council and the Heritage Players and generous contributions over the years by the East Central Regional Arts Council, the Pine Center for the Arts is building this community into an arts destination. None of this would have happened without the generosity of our hosts Pine Technical College and Danny C’s BeachRocks or without the many wonderful people – too many to name – who volunteered, who organized, who gathered and judged the submitted films, who purchased ads and donated time and material. Thank you to you all! This is our third year of the Highway 61 Film Festival, and we’re thrilled that the word has been spreading about what’s happening here in Pine City. This year, we’re featuring films coming in from all corners of the United States. From the west, we have movies from Seattle, San Francisco, West Hollywood and South Dakota. 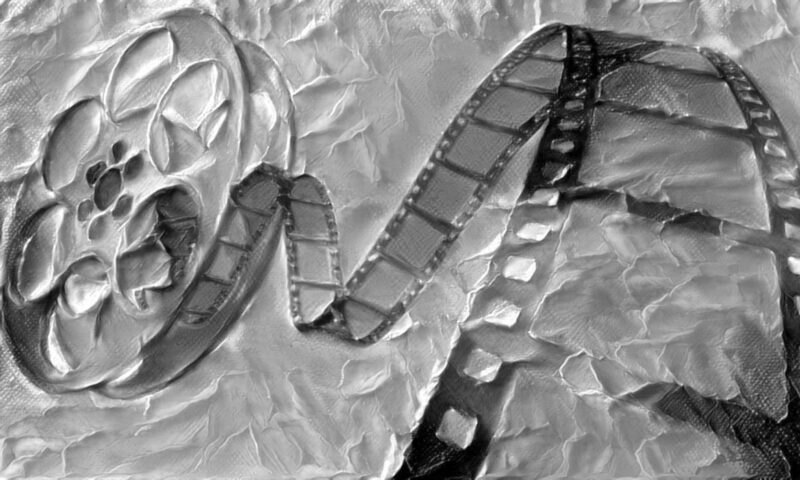 From the south, movies have come in from Texas and Florida. From the east, filmmakers from New York, Chicago and Wisconsin have submitted films for competition. And the festival competition has even expanded beyond our country’s borders. We are proud to welcome the films of Tarun Jain of India and Marianna Mankowska of Poland to our Pine City festival. Films have come from the Twin Cities area: Minneapolis, St. Paul, Oakdale and Plymouth. 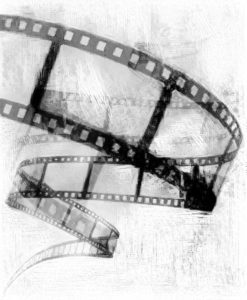 And of course, we have a special respect and appreciation for our local filmmakers – from Moose Lake and Rush City, Lindstrom and North Branch, and our own Pine City – who have contributed films to the festival. We’re all in this together, trying to make great things happen in our communities. And words can’t express how glad we are that you’ve come to be part of it. The Highway 61 Film Festival Committee: Sara Maki, Jimmy Keebs, Nathan Johnson, Stan Grubbs, Mike Gainor, Heidi Briski-Gainor, James Tuckner and Kris Magnuson.